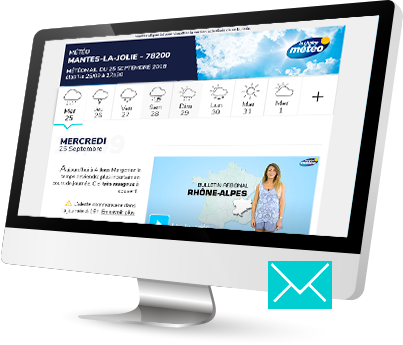 To receive the weather every day in your mailbox, no worries. Weather Crave can take care of everything! You will also find this section in "My Space">"My Meteomails">"Add a Meteomail".